RVs represent freedom. The American ideal of manifest destiny. Hitting the road and taking on the country with nothing but time and miles ahead. Though as much as we’d all love the RV adventures to never end, it just isn’t possible. Work and other commitments always come back eventually. So what do you do with your driving machine when it’s not time to trek across the country? It might not seem like it, but it’s important to properly store your RV in the off-season. What’s more, the off-season also makes a great time for maintenance. Like any vehicle, RVs require a certain amount of time and effort to take care of. They’re not something that you’re able to just set and forget. So to help keep your RV in tip-top shape this winter, we’re bringing you our best RV maintenance and storage tips. RV maintenance is crucial to keeping your vehicle running well. And it’s not just about getting stranded on the highway. Preventative maintenance can keep your RV running better for longer. Luckily, RV maintenance is actually quite simple. It’s no more complicated than taking care of your car. The only extras being special checks to appliances like showers, fridges, stoves, etc. Every off-season, go through your RV’s brake system with a fine-toothed comb. RVs are large, and their momentum puts extra force on brake pads, rotors, and calipers. You’ll need to change your RV pads after far fewer miles than your average vehicle. Don’t expect more than one season per set of pads. If you have the tools, jack up your RV to look at the pads and rotors. Worn pads and grooved rotors indicate you need to make a change. Also, make sure to check the brake fluid. Low fluid can hinder your ability to stop. RVs are unique in that they serve as second homes. They’re filled with stoves, showers, fridges, bed, and everything in-between. The off-season makes a great time to go through these systems to ensure they’re all in proper working order. Check your water lines (and tank) for leaks. Likewise, if your vehicle has any kind of gas-powered appliances check those lines for leaks as well. Checking for gas leaks is as easy as rubbing soap over gas carrying lines and looking for bubbles. For electric appliances, just make sure they’re working. 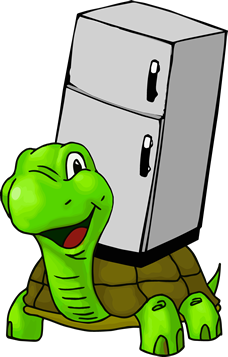 Though fridges and stoves could always use a yearly deep cleaning. Changing your oil regularly is a must for any RV owner. You need to ensure that you’re not low on oil, or you could hurt your engine. Suggested RV oil changes are every 3,500 miles, so expect changes to vary depending on how much traveling you do per season. Though it’s worth noting that not every RV manual suggests oil changes at the same intervals. Make it a point to change your oil when your specific manual recommends (though no later than 3,500 miles). Your RV uses several filters to keep its fluid systems working at maximum efficiency. Clean filters will keep your RV running for years to come. Always check your fuel, air, coolant, and hydraulic (if you have it) filters. Gunk gets stuck in the filters no matter what (they’re doing their job!). Excess particles in these lines and systems could cause them to function at less than 100 percent and damage your RV. One often overlooked part of your RV is its generator. Many people forget that to run all those appliances takes power! Your generator takes oil like your engine to stay lubricated, and overuse dirties and depletes that oil. And like other fluid systems, the generator also has a filter. Make sure you change both oil and filter every year to ensure your generator keeps your power on! Checking your battery is the last thing to add to your yearly RV maintenance checklist. Though this time, you’ll want to check the battery after you’re done storing the RV. Batteries that sit too long without a charge can die completely. Those that do die completely are useless. To prevent this altogether, you can put your battery on a trickle charger over the winter. This way you’re guaranteed a fresh battery come RV season. Now that we’ve covered maintenance, let’s talk storage. 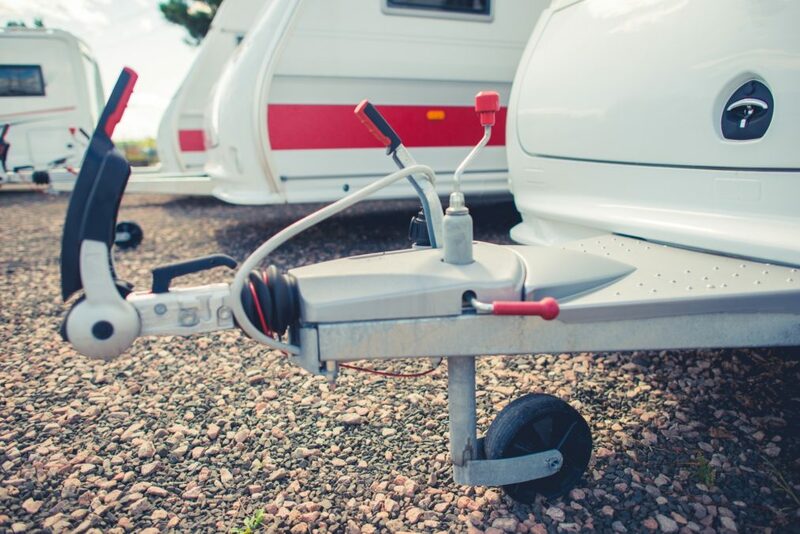 Keeping your RV in good shape over the off-season means storing it somewhere safe. You’ll need somewhere accessible, affordable, and that keeps your vehicle safe from the elements. Let’s look at some great RV storage tips to help get you started. In addition to checking your water lines and tank for leaks, you’ll need to drain them before storage. In warmer Temperatures, this isn’t as much of an issue, but in Temperatures where the temperature might drop below freezing, it’s crucial. Frozen lines and tanks mean burst lines and tanks. However, even in warmer Temperatures problems can occur. Stagnant water in lines can encourage mold growth and lead to film developing in your tank. Gas goes bad after sitting for long periods of time. Oxidization causes deposits inside your tank that can damage your engine. Adding fuel stabilizer to your tank before storing your RV can help prevent this. Add the stabilizer and then fill your tank with gas. Run the engine for a few minutes to cycle the stabilizer and you’re all set for long-term storage. Cover your windows, doors, and any other openings to prevent any pesky critters or even dust from getting into your RV. While most storage is secure enough to prevent animals, the last thing you want is a face full of dust at the start of the next RV season. Storing and maintaining your RV is a crucial part of responsible RV ownership. Take care to do it the right way and your vehicle will take you on adventures for years to come. If you’re looking for an RV storage solution, get in touch with us. We work to bring you the best storage solutions at the lowest prices.